class="post-template-default single single-post postid-334076 single-format-standard custom-background group-blog header-image full-width singular wpb-js-composer js-comp-ver-5.7 vc_responsive"
Courtesy/ Mid Plains Community College. 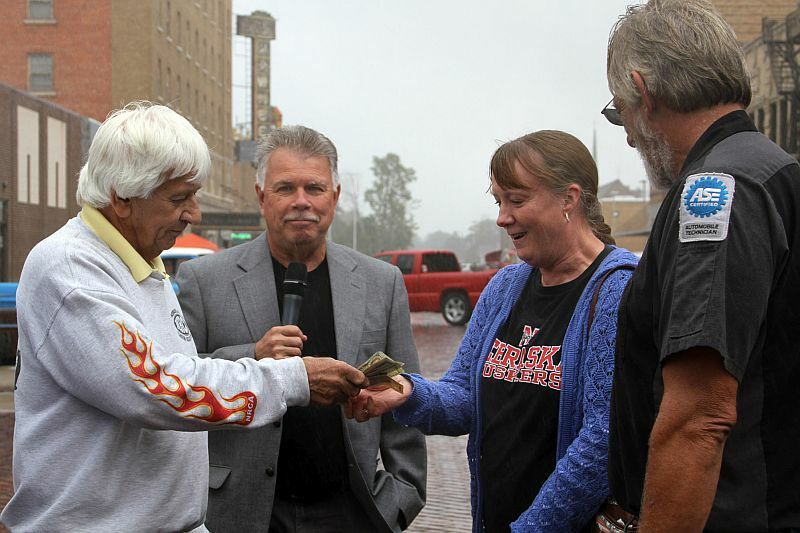 Mid-Plains Community College Auto Body instructor Don Wilson hands $200 to Jodie Schilz, of Ogallala, Saturday during Colonel Cody’s Cruise Show and Shine in downtown North Platte. Schilz won the 2018 MPCC raffle car, a 1932 Ford Roadster. Because she was present at the time of the drawing, she also won $200 from Jody’s Auto Sales Used Cars. Jodie Schilz is the winner of the 2018 Mid-Plains Community College raffle car. The Ogallala woman’s name was drawn Saturday afternoon during Colonel Cody’s Cruise Show and Shine in downtown North Platte. Because Schilz was present at the time of the drawing, she also received $200 from Jody’s Auto Sales Used Cars. Schilz has purchased tickets for previous cars the college has raffled. She bought one ticket for the Roadster at the Show and Shine – just before she was announced as the winner. 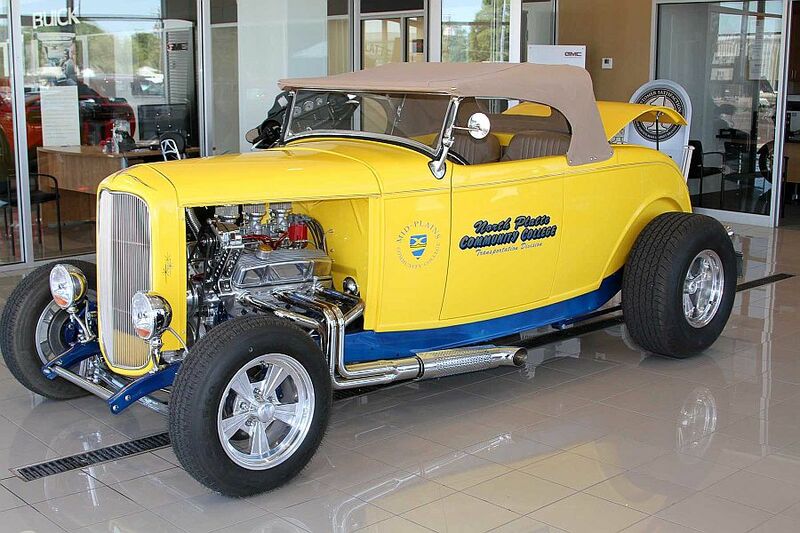 Approximately 5,800 raffle tickets costing $10 each were sold for the 1932 Ford Roadster. Proceeds will be used for scholarships for students in the college’s transportation programs and to help offset the cost of producing the next raffle car project. The Roadster was built by students in MPCC’s Classic Car Restoration, Automotive Technology and Auto Body Technology programs and is the result of a partnership with Lincoln-based Speedway Motors. It’s the first time MPCC has undertaken such a project. The past 13 years, the students restored and modified classic cars. Many of the lessons they learned through that process also applied to building a new car. The Roadster’s drivetrain consists of a 327 GM small block engine with three two-barrel carburetors coupled to a Turbo 350 automatic transmission and a Ford 9” rear end. Four-wheel disc brakes with Rocket racing wheels were added. The entire car is either painted, chromed, stainless or fabric. The car toured the state over the summer, making appearances at car shows, parades and cruise night events. More information about the Roadster and the transportation programs available at Mid-Plains can be found at mpcc.edu.